I'm so ready for you Spring! Spring is probably the most inspiring of all seasons for me. There are always new plants and flowers to discover. Summer is when I like carving! I sit in the garden when the sun is out and the heat makes carving lino so easy, like carving cheese! I'm looking forward to Spring and of course summer! 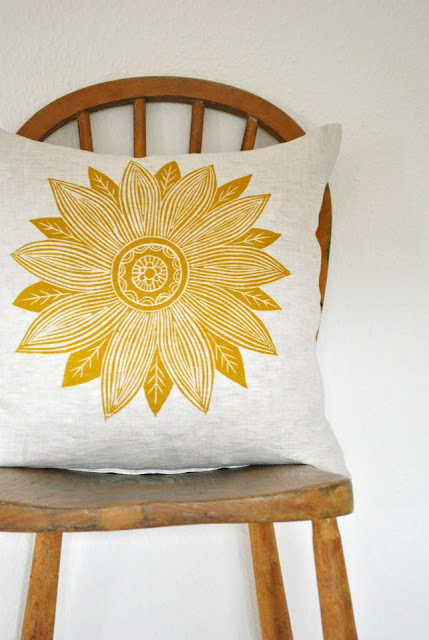 Gorgeous sunny cushion, I love the colour! Thanks Alex! I like this new yellow too! Goes well with grey.